Because my 30-year-old Japanese daughter was living in Iwaki city, Fukushima Prefecture, on March 11 2011, the Fukushima Daiichi Nuclear plant disaster abruptly awoke me to the dangers of nuclear and also to the omnipresent omerta in the mainstream media exerted by the powerful international nuclear lobby and various governments. Visiting my daughter in Iwaki just 3 months after the start of the catastrophe, I was surprised by how the people on location were kept ignorant about what was really taking place, about the gravity of the dangers they faced, and about the possible protective measures they should take to minimize the risks to their life. After a one-month visit, returning home to France, I looked for information and knowledge on the Internet and on the social networks, then became active myself in sharing that information and knowledge with others, and active in the French and International Anti-Nuclear movements. 3 and a half years later, the Fukushima catastrophe is still ongoing, and its cover-up has been partly exposed, but we still have to struggle to make the truth prevail over their many lies. 3 years later I am still here sharing information. I chose the alias of D’un Renard (“from a fox” in French) so as to not be identified by the Japanese government for my anti-nuclear activities, and eventually blacklisted as an undesirable alien, which would prevent me from entering Japan and continuing to visit my daughter. 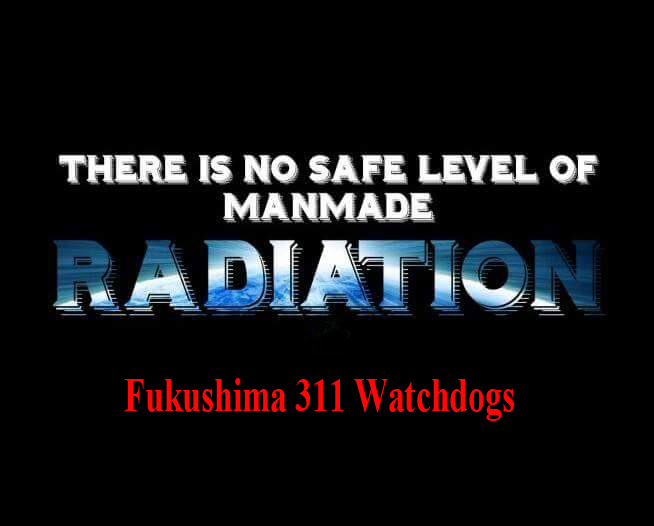 I believe it is time for me to open again a new Fukushima 311 Watchdogs blog now, as the Fukushima catastrophe still goes on, to reach more people with our information, for people to learn about Fukushima and its continued spitting of contamination into our environment worldwide through the Jet Stream, the constant dumping of radioactive contaminated water into the Pacific Ocean, and its contamination of our food chain, with all the health consequences that we may predict. Governments are unwilling to learn the lessons from Chernobyl, Three Mile Island, and Fukushima. The people’s lives are always secondary to government priorities, economics and political expediency. People must learn to protect themselves as no one informs them of the true facts nor protects them. Fukushima is here with us.